The VB330 Probe is the flagship in Bridge Technologies product offering towards broadband and media operators. 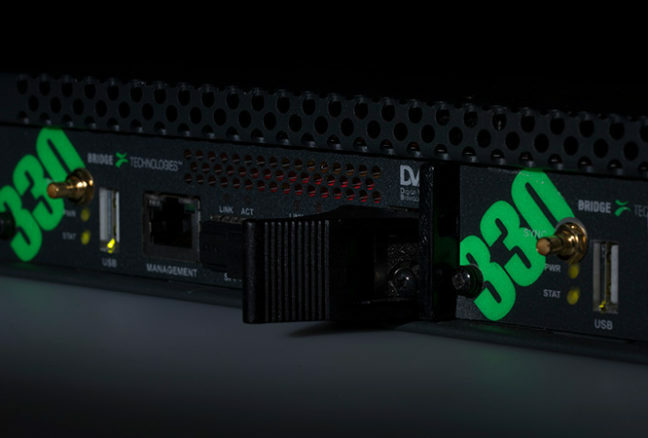 With dual 10G Ethernet connectivity and a massive multiprocessor architecture the VB330 can deliver monitoring and analytics of thousands of streams and a multitude of technologies in real-time and in parallel. The VB330 is deployed either on dedicated embedded hardware, as a pre-configured and pre-installed appliance or as a software-only solution. This gives the operator greater flexibility when it comes to tailoring the monitoring solution towards the underlying system architecture in the best possible manner. Feature parity is ensured across the various deployment options, varying only in factors such as scalability, power consumption and longevity. The web-based user experience and feature availability stays the same across all the deployment alternatives. The VB330 utilises the same visual and intuitive approach to monitoring and analytics as other probes. The VB330 is aimed at monitoring the full cross section of services commonly found in media related network operations. As such the VB330 is very much a multi use tool to monitor network performance involving signal formats and areas as diverse as video IP multicast, video OTT/ABR streaming, voice trunks, video-on-demand unicast, Ethernet packet micro bursts, PCAP recording and general traffic protocol inspection. The VB330 APPLIANCE runs on pre-selected platform and offers a scalable and future-proof high-end monitoring solution. The VB330 APPLIANCE is pre-loaded with software and fully tested at the factory prior to customer delivery. Standard product warranty of 24 months applies. The VB330 APPLIANCE comes with a dual 10/25/40/50/100Gbps NIC for video network connectivity. The VB330 appliance solution is supplied by BRIDGE Technologies and is characterised by the following main attributes: Intel Xeon Gold 6126 2.6 GHz CPU, 8GB DDR4 ECC RAM, 240GB solid state disk, Dual 10/25/40/50/100Gbps network interface card, dual PSU, custom-designed aluminium server front. The VB330 APPLIANCE server weighs ~15 kg, fits in a 1RU rack slot and has a depth of ~50 cm. The VB330 running on the appliance server hardware is future proof in terms of scalability due to its massive parallel CPU resources and dual 100Gpbs network interface capabilities. No installation needed. The operator can start using the product immediately without having to spend time doing server installations. The VB330 is also available as a Cent-OS/RHE install software image that can be installed on suitable server hardware or in cloud environments by the end user. This allows for installation onto already existing server or cloud-based infrastructure. Some consideration is required in order to match software driver capabilities against the infrastructure to run the VB330 on. VB330 comes with support for Remote PHY/L2TP, making it suitable for unpacking and monitoring the multicasts targeted towards the Remote PHY CCAP nodes. Remote PHY is an approach that literally takes the PHY chip out of a box and puts it at the end of an IP network. One of the philosophies of Remote PHY is to put the least amount of hardware and software at the endpoint and keep the complexity centralized. Remote PHY infers centralized DOCSIS software. This allows the same software model to be used for I-CCAP and Remote PHY CCAP. Remote PHY, I-CMTS, and M-CMTS can all coexist in the same chassis and use the same software base and configuration systems. This is a very powerful concept for feature velocity and backward compatibility. Remote PHY works and works well. The design of remote PHY is built on top of open standards such as Ethernet, IPv4, IPv6, L2TPv3, and CableLabs MHA. Remote PHY will allow CCAP devices to be deployed in more creative manners such as using digital fiber in the HFC plant. For cable operators, this will allow their network to have higher performance with lower OpEx, lower CapEx, and an evolutionary path for FTTH. The ETSI TR 101 290 functionality is an option on the VB330. Full analysis is performed on Ethernet signals according to the industry standard ETSI TR 101 290. Multiple analysis engines are available as an option for Ethernet, allowing real-time ETSI TR 101 290 analysis for up to 8 Ethernet transport streams in parallel. The Bridge Technologies implementation provides operators with unparalleled input signal visibility. The probes can detect and trigger alarms for many of the common errors that would normally go unnoticed by conventional monitoring systems. BulkETR290 is an option on the VB330. Full analysis is performed on Ethernet signals according to the industry standard ETSI TR 101 290. 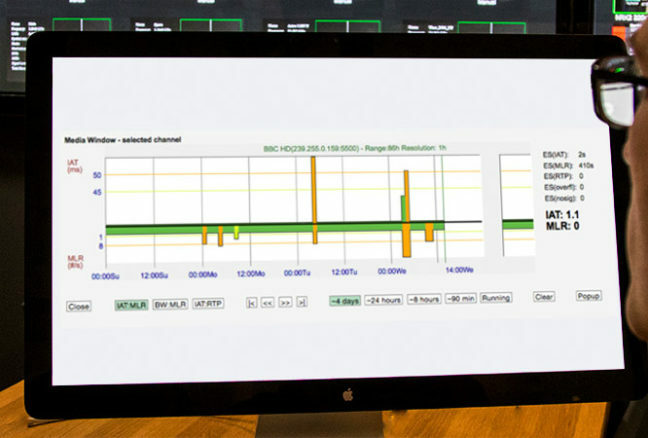 Multiple analysis engines are available as an option for Ethernet, allowing real-time ETSI TR 101 290 analysis for up to 400 Ethernet transport streams in parallel. Each Bulk option provides 100 ETR290 engines. For the VB330 10G Probe there is a “bulk” option capable of up to 50 OTT engines in parallel with a massive 500 channels analysed with all associated profiles. This provides astonishing capabilities to validate large numbers of LIVE streams provided to multiscreen services and/or VOD content critical to operation of services. The extractor option is for Content extraction that includes; freeze/black/colour frame alarming, audio loss alarming for one service only typically where RF interface cards is used for round-robin checking of multiple frequencies. T2MI-UPGR – DVB-T2MI Encapsulation Synchronisation monitoring option. Upgrade.